The only reason to give Blood Fury three stars is Saxton and Ruhn. Had their story been written properly, I would have given it five stars. But as good as it was, it wasn't good enough. There were sparks but the I missed hot as hell flames that scorch. Peyton and Novo, their story was predictable in so many ways. I liked that at last, we got an explanation for Novo's tough exterior. And I quite enjoyed the scene, where she gets her payback. But overall, Peyton and Novo felt like friends with benefits. 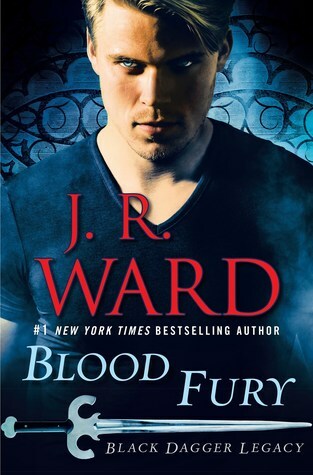 Blood Fury is well written, Ward knows her stuff and is in no way, poor author. But she has become too content with status quo; her writing is just lazy. She has polished her style to the max, and now there are no surprises. What used to be an emotional roller coaster ride, has turned into rollator walk. I want books to choke me with tears, to make me laugh out loud... For the length of a story, I want to feel what the characters feel, live between the covers for 400 pages and forget the real world. And Blood Fury didn't provide that. And please, stop the product placement. Hate it. Sign into Goodreads to see if any of your friends have read Blood Fury.